Sarah joined us for a nice 7 km power walk with our nordic poles first thing this morning. For once the sun was actually shining for the first time in over a week and we didn’t see any rain until late afternoon. Sarah went off to run some errands in her new car while Chris and I managed to do a little driving tour around Leduc. We scoped a few choice locations for some photographs. There is a nice lake on the west side of Hwy 2 near a housing sub division that looks quite promising for birds. We parked and wandered around for a bit finding quite a few goose goslings along the edge of the lake. The parents were guarding them closely but I still managed to get within 20 feet of most of them without stressing the birds. Most of the young were more interested in filling their faces than with the guy holding the camera. 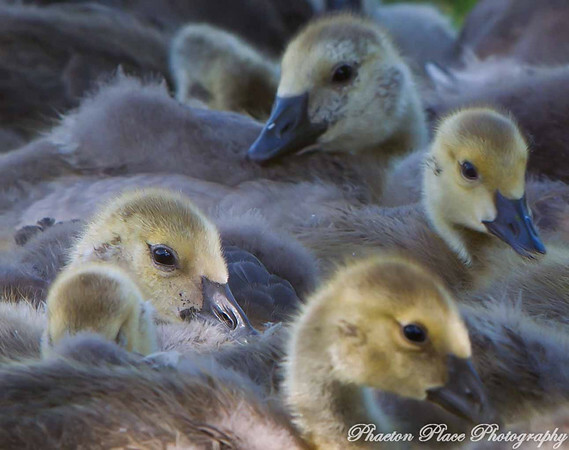 There must have been 40 or more goslings resting in the grass so getting the above shot was pretty easy. I cropped the original about 30% to get this shot and focused on the young one in the left foreground. As we walked around the lake, we saw this incredible thunderstorm developing in the distance. You can even see the sheets of rain in the distance. I tried to capture the lightning as it flashed on the horizon but without a tripod and open shutter, it was pointless to even try. 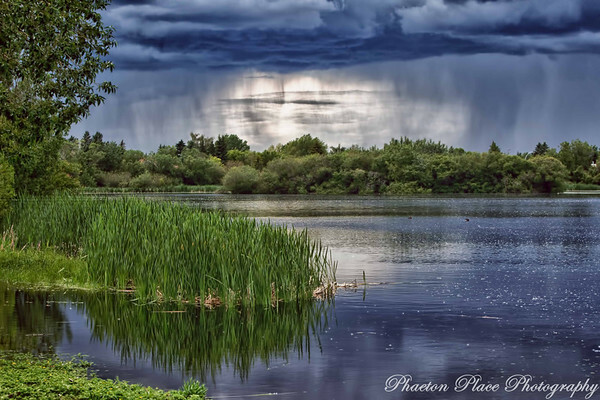 The above shot of the storm over the lake is HDR and was processed using Nik’s HDT Efex Pro software. The only other thing I had to do was clean up a little noise in the sky and sharpen a little too. The white spots on the lake are a combination of rain drops and also pollen spore from the trees that were blowing everywhere. 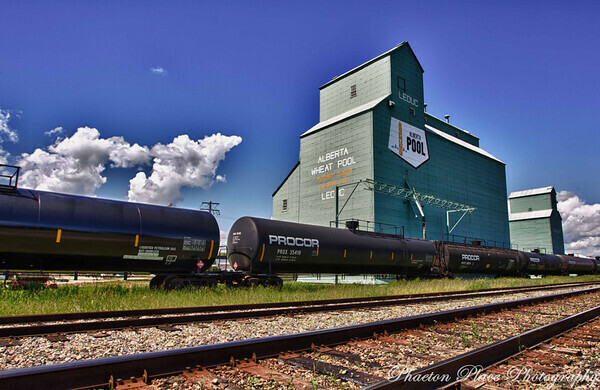 We also managed to talk our way into the CN Property on the railway track side of this elevator for another HDR shot. I was hoping for some more dramatic clouds behind the elevator as clouds always look better than blue sky in HDR but the clouds in the distance moved off before we managed to get in position. I still please how the shot turned out though. I picked up Nik HDR Efex Pro this week and am pretty pleased with it. There are a lot more presets than in my other HDR software favorite, Photomatix Pro, and Nik’s control point system makes HDR Efex Pro pretty easy to use. This entry was posted in HDR, Photography, Technology, Wildlife. Great shots … especially those first two.